Demonstration at College Apiary, 1922. Courtesy Special Collections and University Archives of the W.E.B. Du Bois Library at UMass Amherst. 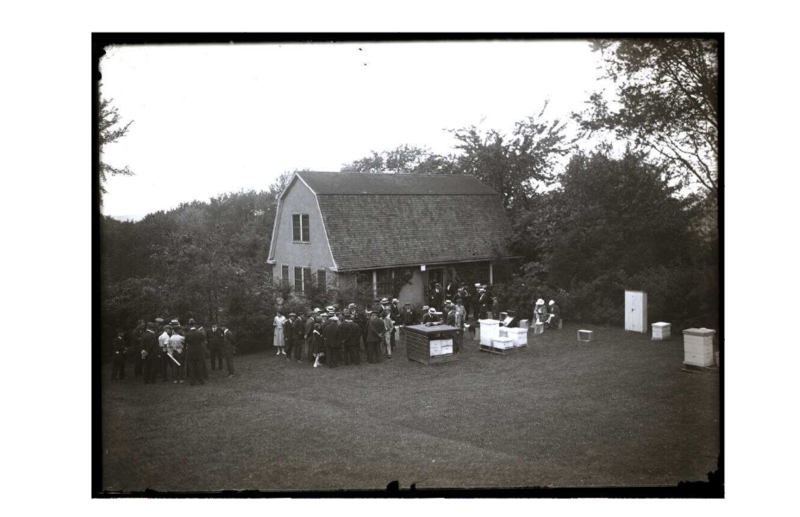 This public demonstration was part of “Farmers’ Week” in 1922 at the Apiary, located in the southeast corner of the campus in what was once the College Orchard. Construction of the Apiary was completed in 1912 and it is thought to be the first building in the country to be built exclusively for instruction in beekeeping.